Getting in synch with big swings in the stock market is no easy task, but looking back over the past six decades, it is apparent that most bear markets have started in earnest around the end of the year. 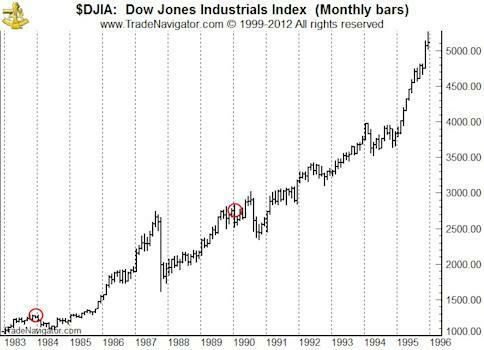 In the accompanying charts we have placed a red circle at the ends of years near the start of a bear market move. 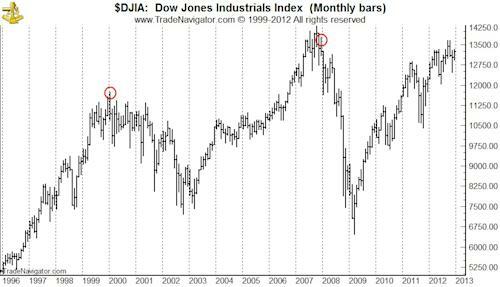 Some occurred after the bull market high and some before. 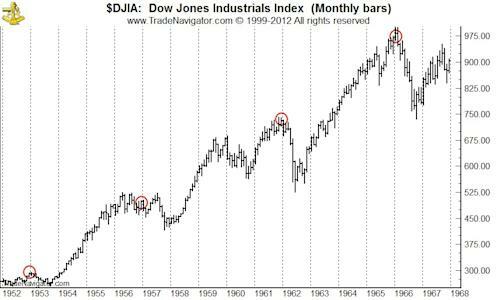 This was the case for the five relatively short post-WWII bears (1953, 1956-67, 1960, 1961-62, and 1966) in that 16-year secular bull market cycle; for the four rather extensive multi-year bears during the 18-year 1966-1982 secular bear market cycle (1968-70, 1973-74, 1976-78, 1981-82); the minor bears during the 1982-2000 secular in 1984 and 1990, and most recently in 2000 and 2008 during the current secular bear that began in 2000.